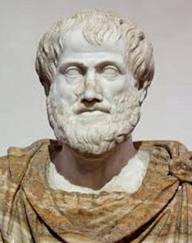 Aristotle is a great philosopher initiative the earliest mass communication model called “Aristotle’s Model of Communication”. He proposed model before 300 B.C who found the importance of audience role in communication chain in his communication model.He is delivering his speech in a manner that the listeners would get convinced and cast their votes only in his favour, or in other words respond in the same manner the speaker wanted to. Here the leader or the speaker or the sender is the centre of attraction and the crowd simply the passive listeners. The speaker must be very careful about his selection of words and content in this model of communication. He should understand his target audience and then prepare his speech. Making eye contact with the second party is again a must to create an impact among the listeners. Let us again go through the first example. The politician must understand the needs of the people in his constituency like the need of a shopping mall, better transport system, safety of girls etc and then design his speech. His speech should address all the above issues and focus on providing the solutions to their problems to expect maximum votes from them. His tone and pitch should also be loud and clear enough for the people to hear and understand the speech properly. Stammering, getting nervous in between of a conversation must be avoided. Voice modulations also play a very important role in creating the desired effect. Blank expressions, confused looks and similar pitch all through the speech make it monotonous and nullify its effect. The speaker should know where to lay more stress on, highlight which words to influence the listeners. (i) Speaker, (ii) Speech, (iii) Occasion, (iv) Audience and (v) Effect. Aristotle advises speakers to build speech for different audience on different time (occasion) and for different effects. Speaker plays an important role in Public speaking. The speaker must prepare his speech and analysis audience needs before he enters into the stage. His words should influence in audience mind and persuade their thoughts towards him.